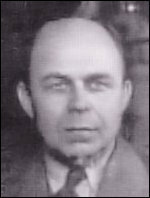 Bura, Nikita [Микита Бура] – teacher, active in political, community and church affairs; born on 31 March 1896 in the village of Velykyi Oleksyn (Rivne raion, Rivne oblast, Ukraine; at that time – Rivne county, Volyn gubernia, Russian Empire); died on 6 June 1985 in Canada. In 1920 he completed his studies in education, and in 1920-1924 taught in a school near Rivne (at that time part of Poland). From 1922 he served in local government, and was mayor of the Rivne gmina. He was a founder member (in 1931) and general secretary (until 1936) of the Volhynia Ukrainian Association. In 1930, 1935 and 1938 he was elected to the Sejm (Diet) of the Polish Republic, as a member of the Non-Party Bloc for Co-operation with the Government. In 1938-1939 he was vice-president of the Ukrainian parliamentary representation of Volhynia. In 1939 Bura was arrested by the Soviet authorities and, together with his family, exiled to Siberia. In August 1943 he arrived in the UK via the Middle East with a group of Polish Armed Forces ("Anders Army") personnel. He maintained ties with the Polish Government in London, and also served as office manager for the chief Orthodox chaplain to the Polish Armed Forces in the UK, archbishop Sava Sovetov. In August 1945 he became head of the temporary executive of the Association of Ukrainian Soldiers in the Polish Armed Forces. In January 1946 he was elected first president of the Association of Ukrainians in Great Britain, and re-elected in the following year. In 1947 he was a member of an initiating group for the establishment of the Ukrainian Autocephalous Orthodox Church in Great Britain, and in August of the same year was appointed to its Church Council. In 1948 he emigrated to Canada.